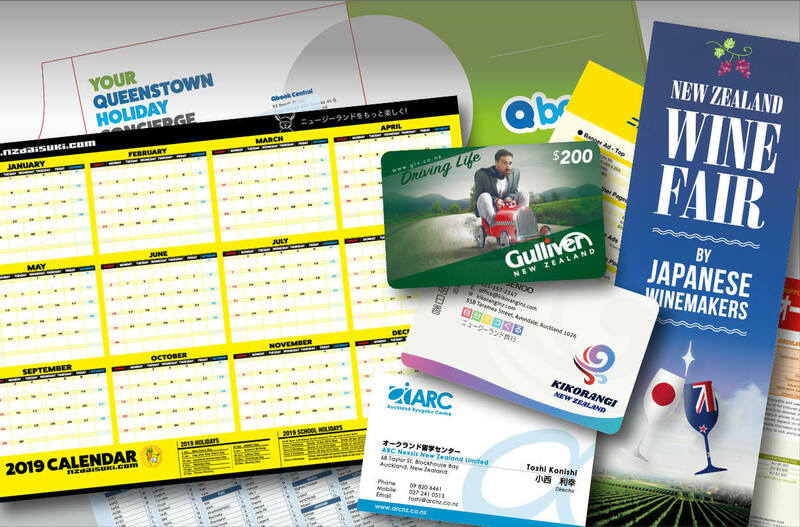 JMC produces a variety of Japanese printing products that are available on request, such as brochures, booklets, restaurants menus, shop signs, stickers, business cards, etc. We can also assure you the quality standards in line with those experienced in Japan. We can reduce cost and time by organizing all the procedure and also offer you comprehensive support for the advertisement plan. Not only Japanese, we also undertake DTP in any other languages. With our knowledge and experience as the preferred advertisement representative, we can offer you various ideas to promote your business from special promotion material to large size colour printings to match your budget and the aim of the advertising campaign. Not only producing printing materials but also we can advise you the effective distribution ideas to meet your needs. 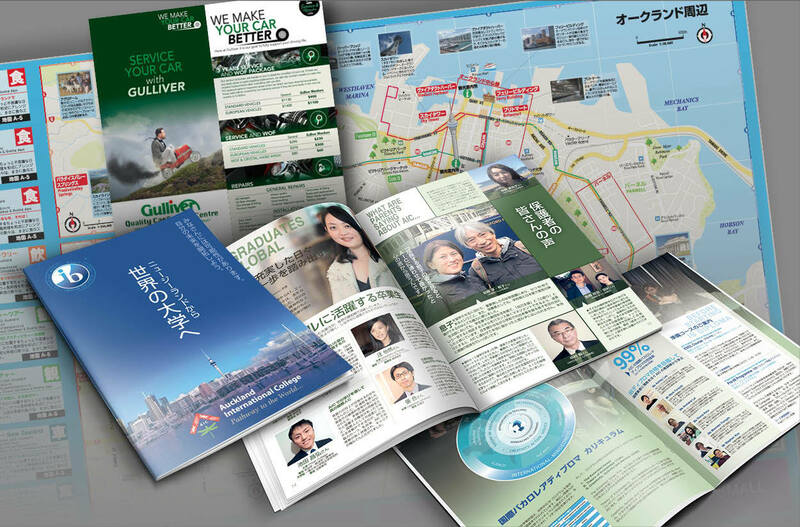 We provide total Japanese advertising and marketing solutions for several major magazines, TV, radio in Japan and New Zealand. Our services also include Print Design and Web Design, Multilingual translations. © 2019 Japan Media Creations (NZ) Co., Ltd. all rights reserved.